P…and that is no more apparent than in our kitchens, right? How many of you are not Irish, but have a corned beef in the slow cooker? My mom’s father was half Irish, so in his honor, we are having Irish Soda Bread with our Corned Beef and Cabbage. French bread, cracked wheat sandwich bread, English muffins… Pretzels, pita bread, sourdough (that was a disaster), quick breads of all kinds. If it is a bread, I have probably made it. The Cinnamon Roll count is somewhere in the hundreds of dozens, now, I can make that recipe in my sleep, but Ive never made Irish Soda Bread. 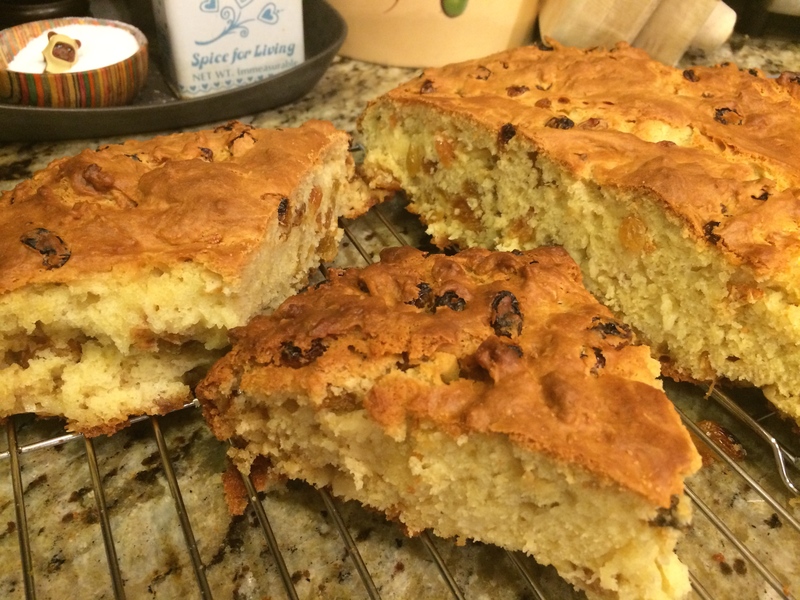 For this Soda Bread, I followed their recipe, sans caraway seeds since I HATE them. Always have, always will. Blech. Look how pretty this loaf of bread is! I’ve turned out nice looking baked goods… but not today. I think I actually left out a whole cup of flour- my dough really spread out. 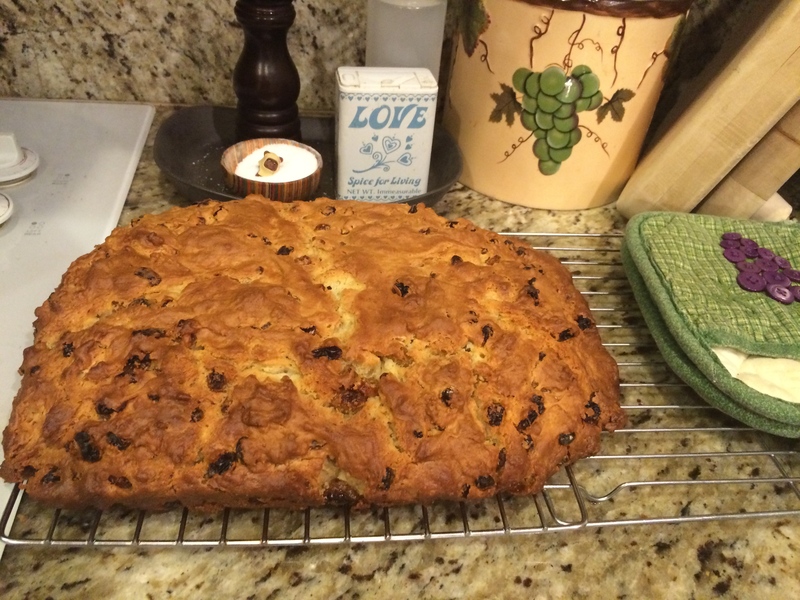 It kind of turned out like a giant scone, which could be delicious, nonetheless. I should turn in my Official Baker’s Card, if I had one. 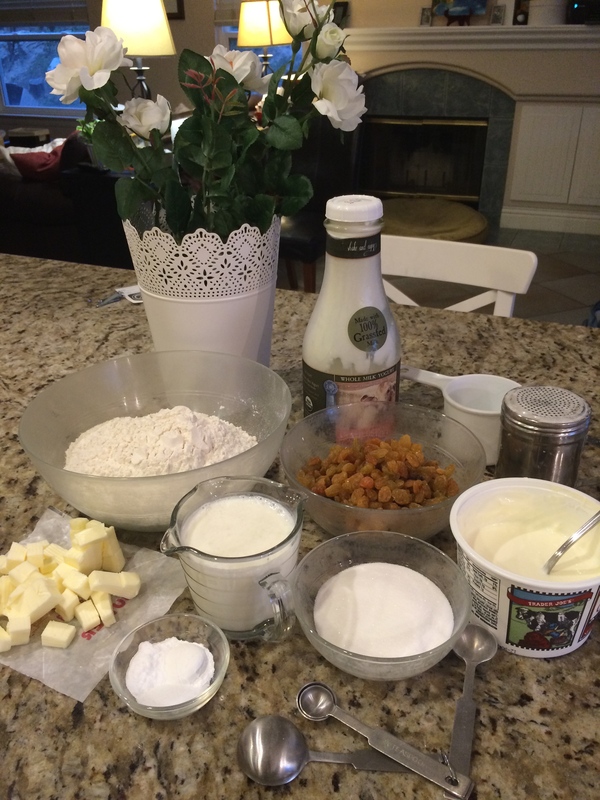 Flour, sugar, leaveners, salt, egg, butter, buttermilk, raisins, and a combo of crème fraîche, yogurt, and sour cream went into this mix. The yogurt is from this incredible dairy where we used to shop. Traders Point Creamery is a grass fed, organic farm located right outside of Indianapolis. Have a Whole Foods Market near you? Whine to the dairy buyer that you, too, would like your store to carry this yogurt that is so good, even people who don’t like yogurt will eat Traders Point. Like The Husband. They also host a year round farmers market, and have one of the best farm-to-table restaurants. I miss this place something fierce. U-G-L-Y you ain’t got no alibi, you ugly. One ugly loaf! This is one ugly loaf. It looks nothing like the photo from The Chew! But the taste and texture suggest that I did NOT forget that third cup of flour. The Salt Ewok approves. (can you see him in the back?) It really DOES taste like a giant scone! Very good, actually. Whew. I get to keep my Official Baker’s Card. Looking forward to making this again, it was great!